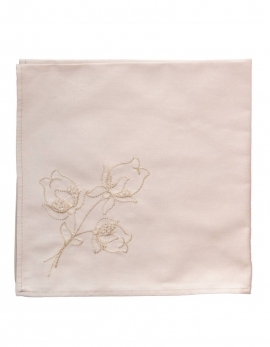 This elegant and discreete set of table linen is composed of table runner and napkins in pure cotton. 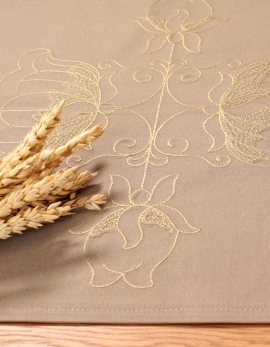 A decorative lotus flower on light beige cotton will delicately bright your table with this elegant embroidery of straw color thread. The lotus flower symbolizes in many traditions purity and spiritual fulfilment. French fabrication. The napkins is made of light percale of cotton and the table runner of thick cotton canvas.